It’s day one of 2015 so in the spirit of new years, I’ve spring cleaned this blog! You will see that I’ve sorted out the categories and the tags to make things a bit easier for you! If you’re looking for a particular brand that I’ve reviewed then you can hunt them down in there or just hit the search bar at the top of the page. 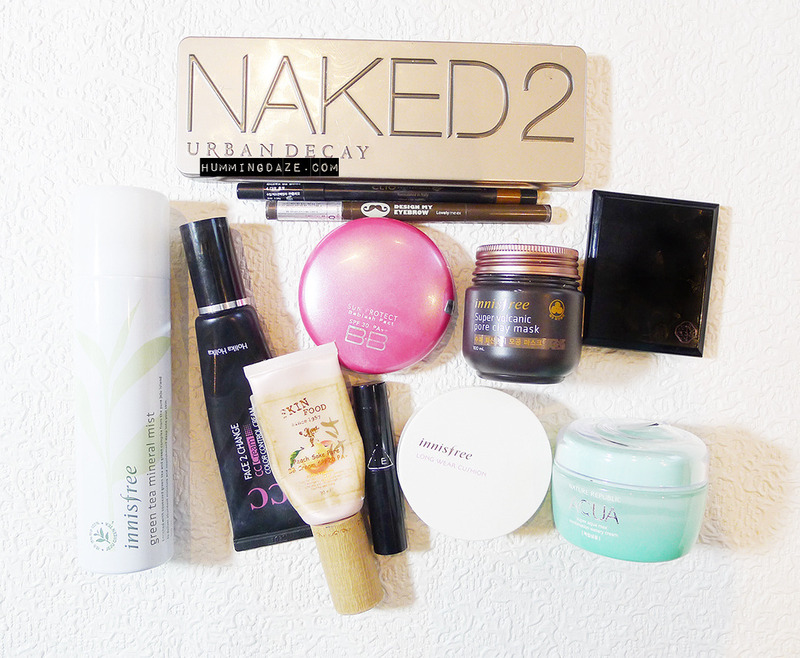 Today I’m sharing with you my 2015 make up must haves! I’ve been using all the items below regularly. Here’s the rundown of my list. I’ve been using this palette for well over a year. It’s a classic collection of neutral browns and coppery tones which is perfect for everyday/office wear! I didn’t think I would need to so many eyeshadows in brown but you know what? I really do. You can create so many different kinds of looks from day time to night. It’s my daily must have. I’ve never actually reviewed a Clio product on hummingdaze.com which is completely crazy considering how much I love the brand. There have been so many eyeliner pencils like the gelpresso but I feel that the Clio brand is the best. I like the formula. It’s not too creamy and yet it is easy to apply. This pencil is great for creating natural looking doe eyes! I have really thick brows but they’re not perfect! Some areas need filling in and I find that this eyebrow pencil is very natural looking and helps give more definition and shape to my eyebrows. I’ve been using the blusher for years! It’s so pigmented and lasts the day. I’ve not really bought any other blushers since then. You can read my review here. Another firm favourite! I’ve used this for almost 5 years now and since then I’ve rebought this item so many times. It’s perfect for covering red blotchy areas and keeping your skin looking matte! You can check my review here. A new discovery for me! This is a lovely clay mask which I like to use every now and again when my skin is feeling dry. 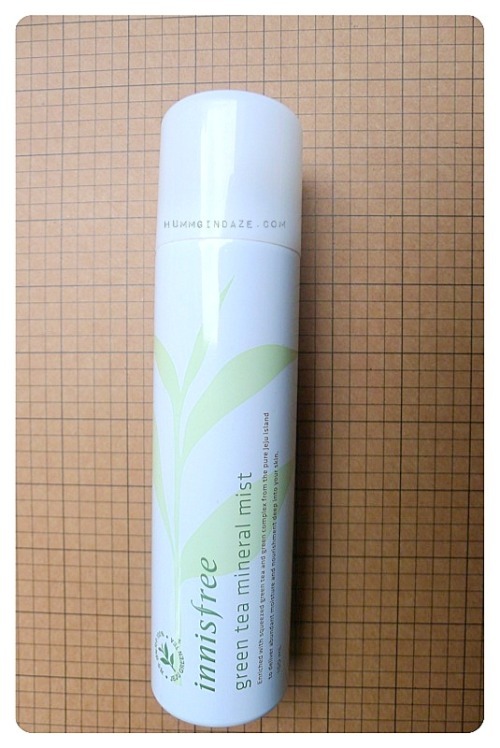 The perfect face moisturising spray when you feel your skin needs a boost! I’ve already reviewed this item right here. My first CC cream! I like using this if my skin is feeling spotty and I need a but more coverage than usual. So far so good! A little goes a long way with this classic BB cream from Skin Food! I don’t tend to use BB cream all over my face. I like to use this peach sake one where I need more coverage. This is another classic for me! You can see that the logo has rubbed off the barrel! I will have you know that this is a well loved lipstick of mine. The colours are lovely and the consistency is slightly glossy which adds as pretty sheen to your pout. For days when I want to wear light makeup, I use this compact to even out my skin tone and add a bit of freshness. It’s been my daily moisturizer for four months. It’s really light and sinks in well. It’s not so well suited to wintry London weather right now but it’s provides enough moisture if you live in hotter climes. A definite repurchase for the summer.